A great smile can be a sign of health, success, and happiness. Unfortunately, few of us are naturally blessed with teeth that have all the aspects of a beautiful smile. Discoloration, decay, damage, and poor alignment are all common defects, when it comes to aspects of our teeth that we would most like to change. Fortunately, cosmetic dentistry can help you create the smile of your dreams. Dental veneers are one of the most common options for covering defects and creating a perfect smile. Veneers are a cosmetic dental treatment that treat teeth that are badly aligned, cracked, discolored, or severely decayed. They are small, porcelain shell coverings that are bonded to the outer enamel of your teeth to improve their appearance. Each set of veneers is designed specifically with the patient in mind. Once they are secured in place, veneers create a smile that is even in size and shape, leaving no gaps between the teeth. Their porcelain design also means that they can be created in a wide variety of shades. Not only does this allow you to choose a natural shade of whiteness, but it also makes veneers a viable alternative to traditional teeth whitening without needing to worry about further discoloration. Dental veneers are also strong and resistant to most common stains. Veneers are fitted to your teeth by bonding them to the outer enamel. However, before we bond them to your teeth, we will need to remove some of the natural enamel on the teeth to ensure the finished product looks natural and beautiful. This is done under a local anesthetic, so you do not feel any pain during the treatment. Once the filing is complete, a special adhesive paste will be applied to the outer layer of your teeth for the veneers to be fixed into place. Before we can decide if veneers are the right solution for your cosmetic and dental health, you will need to attend a comprehensive consultation appointment with Dr. Le. This will allow us to examine your teeth and mouth, so we can make a recommendation tailored to your needs. Although veneers are extremely strong, they can be brittle. This means that you will need to take extra care so that they aren’t damaged. Patients with dental veneers will need to make certain changes to their chewing habits. Nail biters should avoid this habit, since biting your nails can cause the veneers to chip or fracture. You should also avoid using your teeth as tool for opening or cutting things. If you suffer from bruxism and clench or grind your teeth, Dr. Le may need to provide you with a mouthguard to protect your new veneers from damage. Dr. 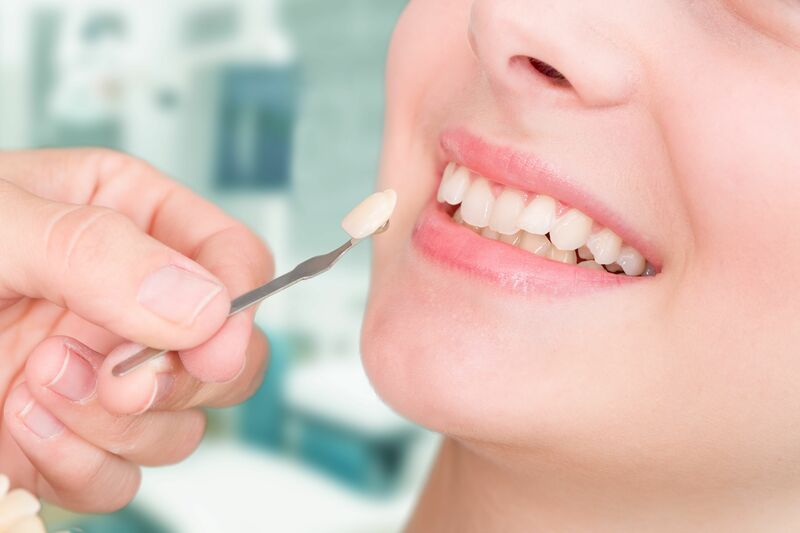 Le and our knowledgeable and skilled team have extensive experience in providing high quality dental veneers to our satisfied patients in and around Vienna, VA. If you have any further questions about our dental veneers treatment, or any of the other treatments, please make contact with our office today.